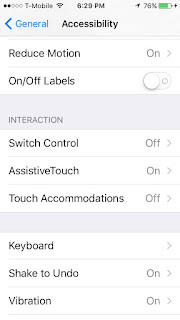 I recently read about a work around that will allow you to take screen shots on your iPhone if either your on/off button or your home button is broken or you just wish to have an easier way to screen shot your phone with just one hand. 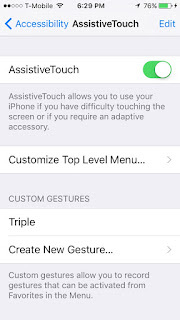 In the iPhone's software, there is an Assistive Touch function. 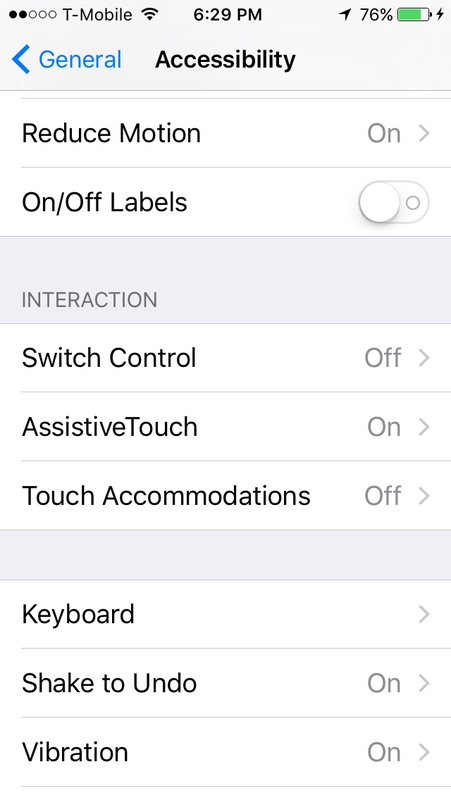 When you turn it on, you will have access to a special screen button on your phone that when pressed, brings up a mini menu that will allow you a number of functions. My old iPhone 5 is over four years old and the on/off button has nearly bit the dust. Additionally, I have to take my cover off to access the button. It can easily take ten tries to simultaneously press the on/off button and the home button at the same time. This is frustrating as I use the screen shot function a great deal. 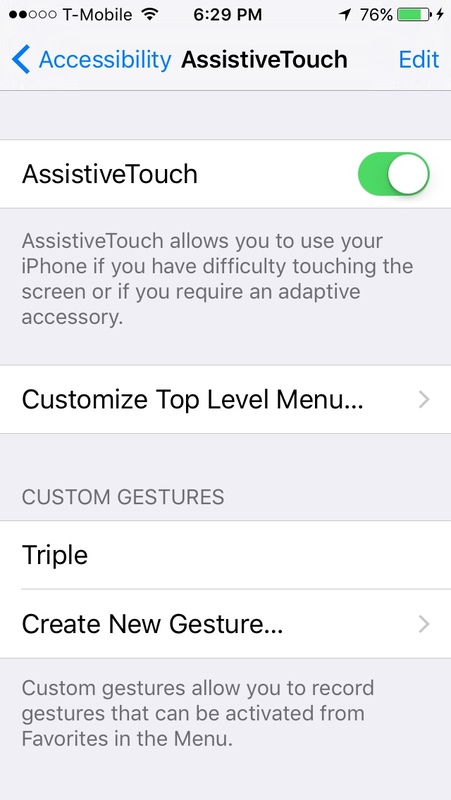 To turn on Assistive Touch, go to Settings, then select General. Scroll down and you will see AssistiveTouch. Turn it on and you are ready to go. Once you activate it, you will see a small ghost-like button appear on your screen. Is it in the way? You can actually move it around on your screen anytime you need to. Go ahead and press the button. There's your mini menu. These buttons are customizable to a certain degree. I am happy I found this clever work-around and use it all the time.